Not ready to purchase a painting? Want to make sure it’s a good fit for you first? 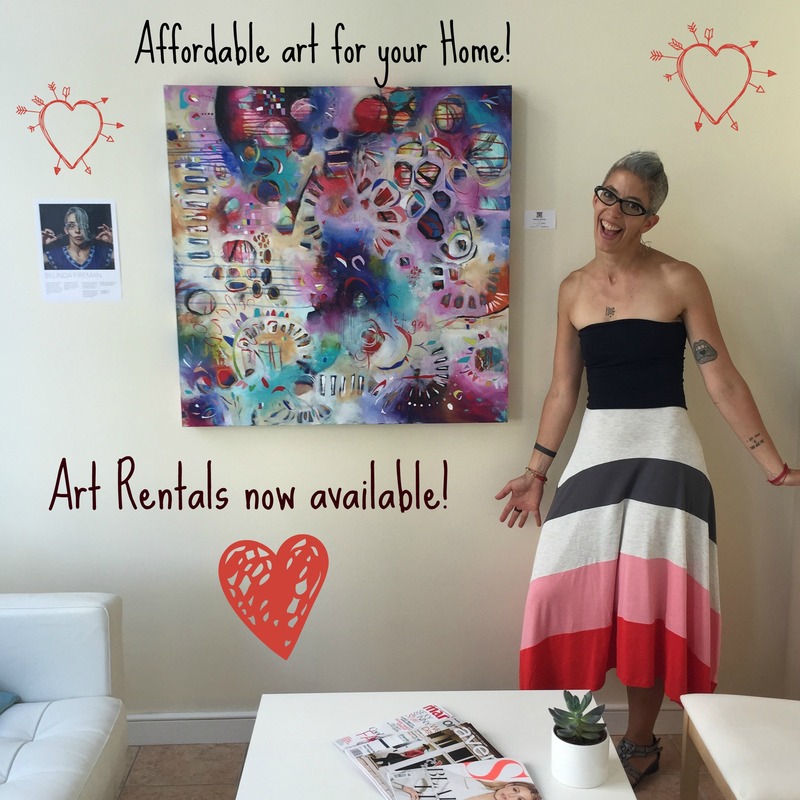 Art rental is now available! 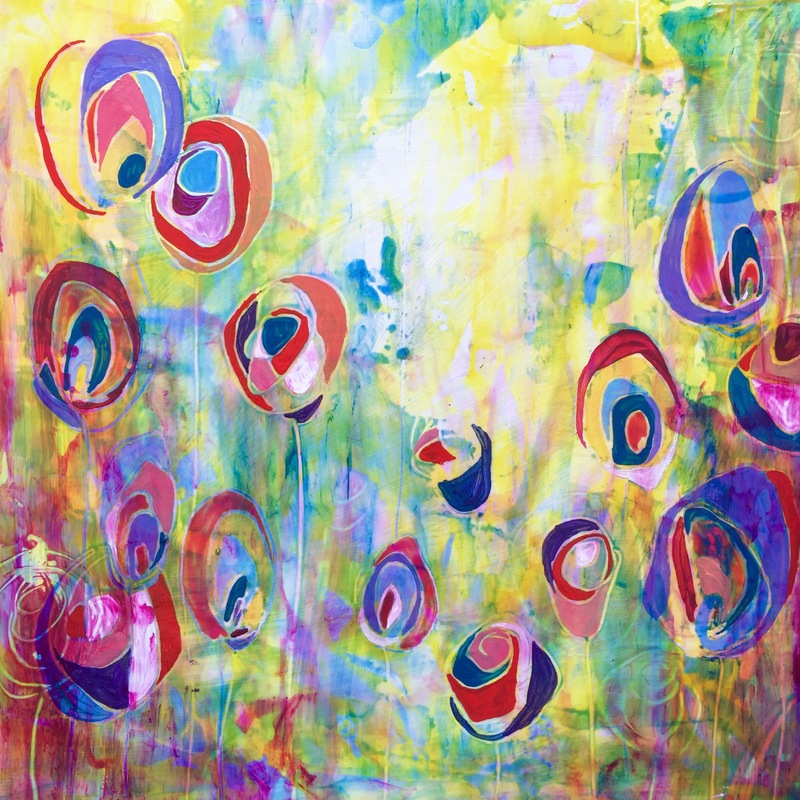 Awesome, colourful and fun art for your office, home, or business (no more run-of-the-mill dull art)! 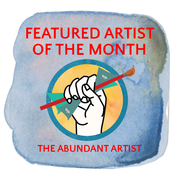 Feel good about supporting a local artist! Rental rates are calculated at 5% of the purchase price for the artwork. 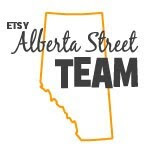 This entry was posted in Art Rental, Painting and tagged art rental, painting, rental, yyc on October 29, 2015 by belknits. I recently painted a 1913 fiddle for an upcoming online auction and exhibit at the Sweet on Fiddlin’ show at the Ironwood Stage and Grill. It’s a great change of pace from flat canvas! 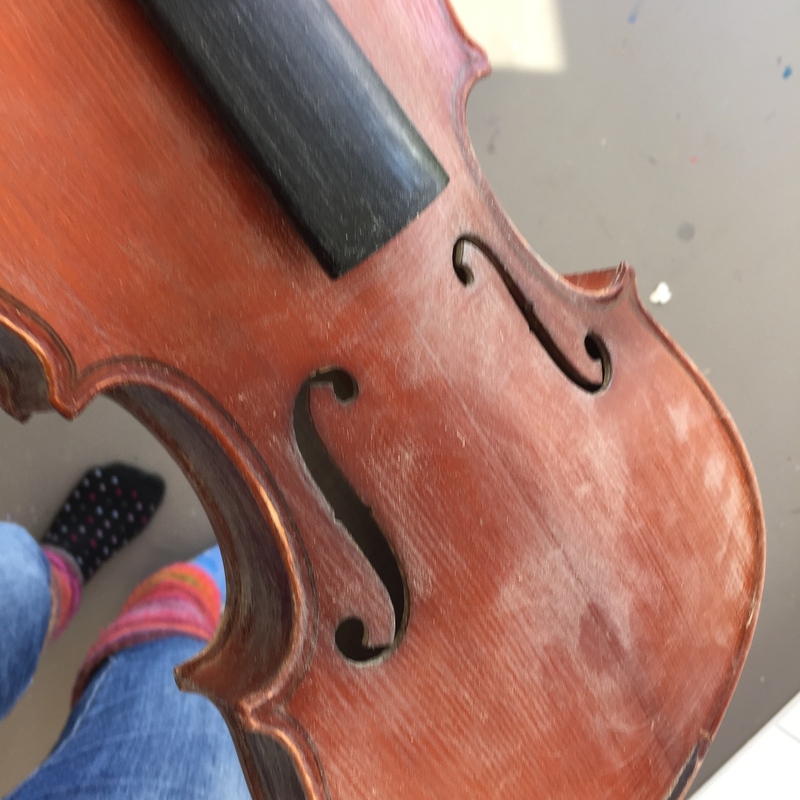 Sanding away the shiny, perfect surface of the fiddle.. yikes! I’m really happy with the final result! 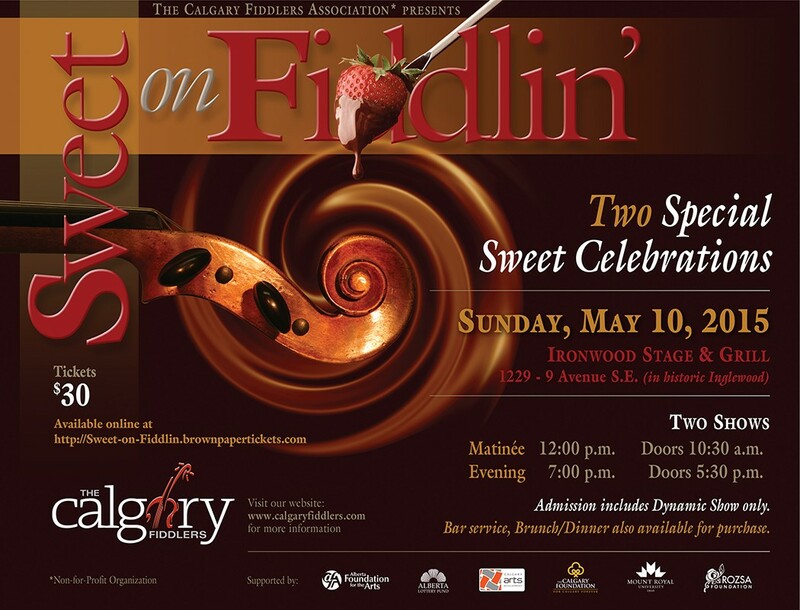 For tickets to see this and other fiddle art at the Sweet on Fiddlin’ show, click here. 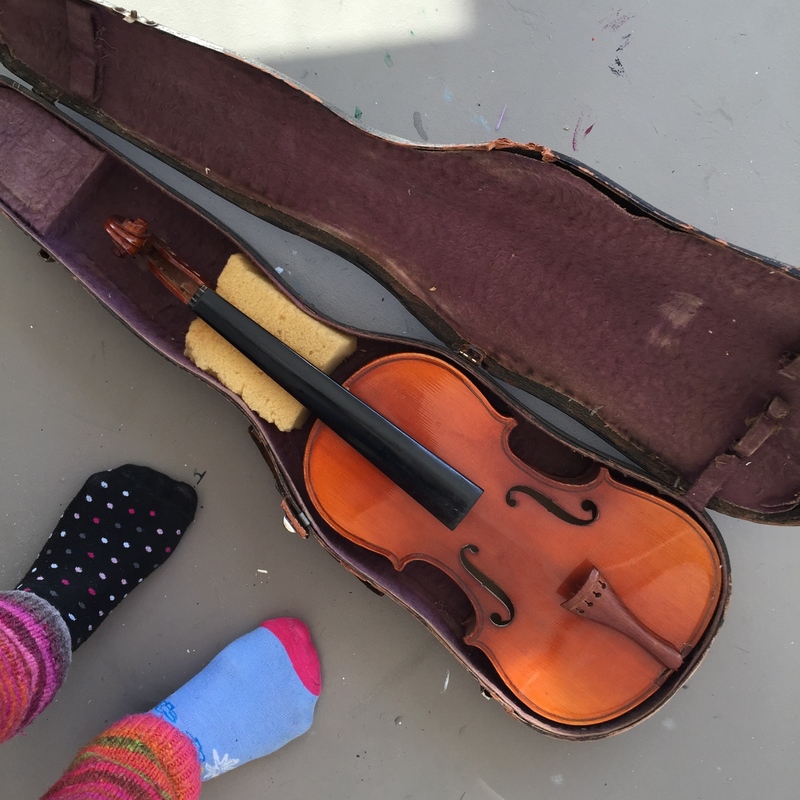 This entry was posted in Painting and tagged acrylic, CFA, colourful, fiddle, painting, rainbow, The Calgary Fiddlers, violin, yyc, yycarts on March 30, 2015 by belknits.